Ready to venture out of London and discover the countryside? Whether you’re looking for a weekend getaway, or a place to celebrate a special occasion, there are several idyllic locations not far from London town. Here are some recommendations on what to do, where to go, stay and dine for 48 hours in the English countryside. First on our Day trip to the English Countryside you must visit these picturesque market towns with historic buildings, lively main streets with shops, restaurants, pubs, cafes. Stroll the town and discover beautiful cottages, gardens, castles, and ancient churches. 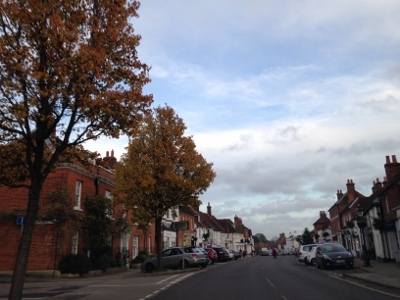 Some of the villages we visited were Odiham, Farnham, and next trip we hope to visit Winchester, Alton, and Hartley Wintney, the antique center of Hampshire. One of the ideal places to ride is Dogmersfield Park where you can ride through some of the 500 acres of the Four Seasons Hampshire property. 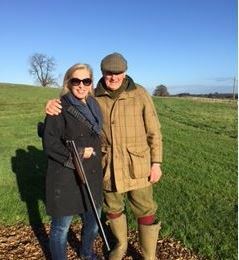 We signed up for our first clay pigeon shooting and practiced shooting pigeons, grouse, and ducks. Ride a Bike, go for a Walk! This is “Jane Austen country” – get out, inhale the fresh country air, and get a new perspective on life, love and connect with nature. Another fun activity offered at Four Seasons Hampshire Hotel, where you can play croquet in their heritage-listed gardens. 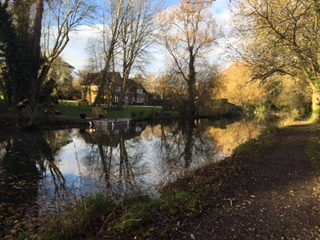 The Hampshire countryside includes beautiful landscapes surrounding canals. Hire a boat and take a picnic as you glide through these waterways! Visit the prehistoric circle of gigantic standing stones in Wiltshire, Stonehenge. 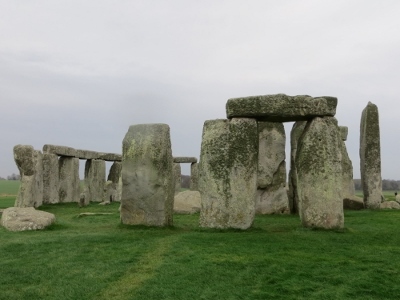 This is one of the most famous English Heritage sites and the world. 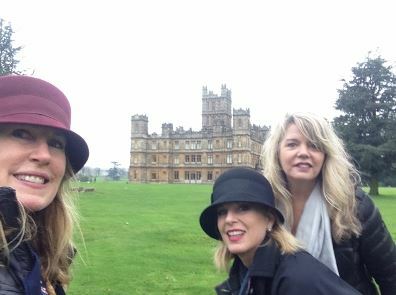 Such a fun outing on our Day trip English Countryside tour! 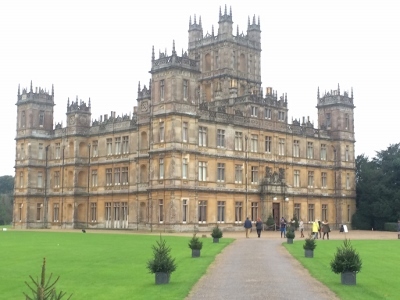 We were driven by a private chauffeur from Sixt Cars, to visit one of England’s most beautiful Victorian castles at Highclere, famous filming location for the TV series Downton Abbey. We made reservations in advance and toured the grand interior of this castle, home to the Carnarvon family since 1679. Afterwards, we strolled some of the 1,000 acres of gardens and forests. Don’t miss the Egyptian exhibit in the castle’s lower levels. Take a daytrip to visit the Cotswolds in South central England, where you’ll find the most charming English thatched cottages tucked into the rolling hills of Gloucestershire to Oxfordshire. Last on our Day trip English Countryside list is another fantastic day trip to Southwest England – visit the famous Roman Baths and temple. Lots of 18th century Georgian architecture and if you have time, soak in the natural hot springs at the town Spa. 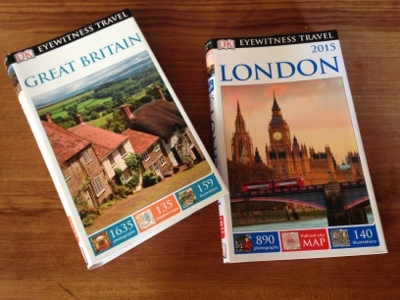 Where to stay during your Day trip English Countryside or two! Four Seasons Hampshire is an elegant Georgian Manor located in Dogmersfield Park, the heart of the western countryside of England. 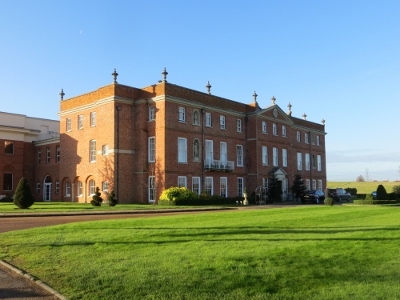 Only an hour drive west from the London Heathrow Airport. 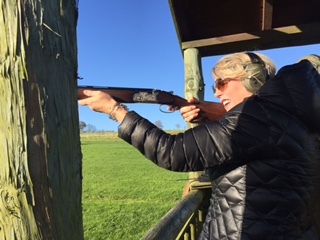 So much to do here – Clay pigeon shooting! Horse riding! Tennis…golf…croquet! 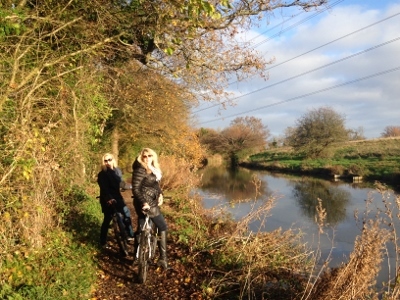 Canal boating or bicycling! There are several walking paths and bike trails to explore the 500 acres surrounding the manor. 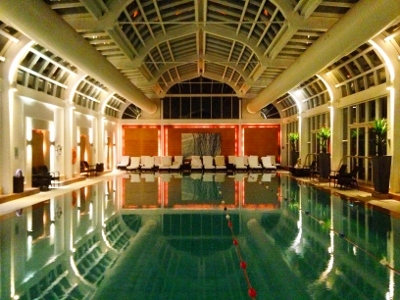 Or just retreat to the luxurious spa and indoor pool. 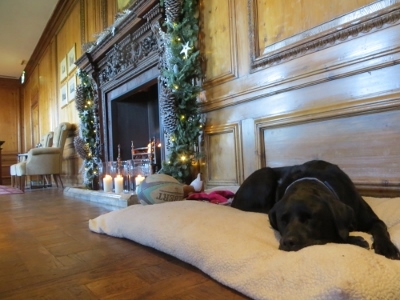 We were greeted by the resident black Labrador, Oliver Beckington, lounging in the lobby next to the fireplace, ready to greet guest dogs too! General Manager Charles Parker welcomes guests, and shares“Four Seasons Hotel Hampshire has restored a historic Georgian manor house outside London to seamlessly blend English country living with 21st-century modernity.” We stayed in the William Godson Suite, located in the main restored Georgian Manor House. This suite is spectacular with a king bedroom, dining area, large sitting room, a marble bathroom, and captivating views over the Estate. 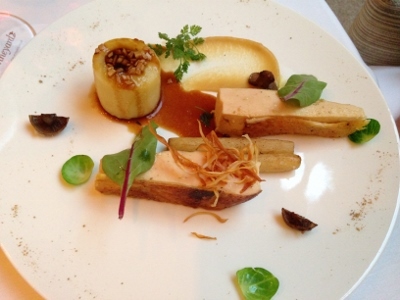 Seasons Restaurant: Exeutive Chef James Dugan presents French-European cuisine with a contemporary twist. We savored a lovely dinner starting with Orkney Scallops and polishing off our palates with the Plum Souffle with dark chocolate sorbet. 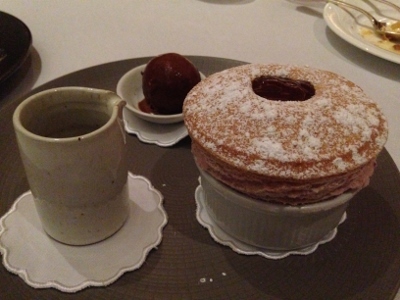 Beautiful presentation & exquisite service! 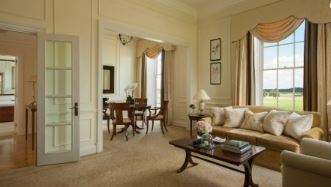 Located at Four Seasons Hampshire. 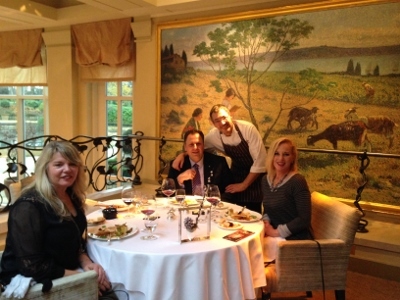 The Vineyard: General Manager Marwan Hemchaoui welcomed us to a delightful gourmet dining experience inspired by Daniel Galmiche, a multi-award winning French chef! Here we enjoyed an exceptional gastronomic experience, ideal spot for a romantic weekend, family celebration or special gathering. 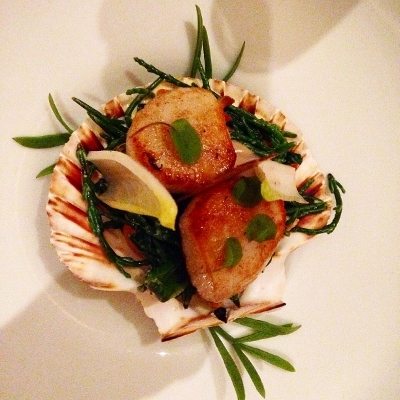 Located in a Relais & Chateaux hotel property, The Vineyard is one of the best restaurants in Berkshire. One of our favorite dishes from The Vineyard is the Pumpkin risotto, with wild mushrooms, chives, and parmesan – a perfect starter for Autumn. 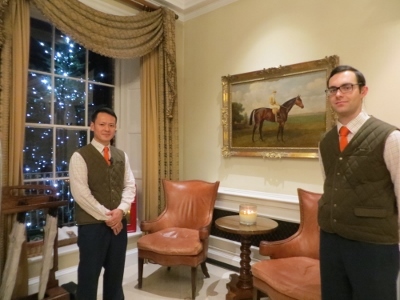 Global Adventuress thanks the following who hosted us during our stay – Four Seasons Hampshire, Seasons Restaurant, The Vineyard, and Stonehenge. Also, we want to thank RCS of London Ltd. for chauffeuring us to our destinations.